Change things up with these side-trips from Sydney: Leura (The Nook & Everglades Historic House and Gardens), Blackheath (Day FIne Art, The Campbell Rhododendron Gardens, & more) and Katoomba (The Three Sisters & Wentworth Falls). 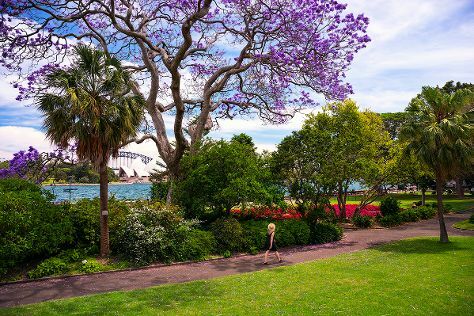 Spend the 6th (Sat) exploring nature at Sydney Harbour National Park. There's much more to do: take a stroll through The Rocks, meet the residents at Sea Life Sydney Aquarium, push the limits with an extreme tour, and catch a live performance at Sydney Opera House. To see reviews, ratings, where to stay, and other tourist information, read our Sydney planner . If you are flying in from Thailand, the closest major airport is Sydney Kingsford Smith International Airport. In September in Sydney, expect temperatures between 25°C during the day and 14°C at night. Finish your sightseeing early on the 12th (Fri) to allow enough time to travel back home.